Craving a truly satisfying dish? Then try making this recipe for polenta and eggs—it's rich, flavorful and relatively healthy! It makes for six servings, and it's a great dish to make for family and friends, especially if you're attending a get-together. You can serve polenta for lunch, or for dinner, as well. After trying this dish, please make sure to rate and review it. Also, feel free to share your thoughts about this dish on social media, especially Facebook, Twitter and Pinterest. We can't wait to hear what you have to say about it. When making polenta and eggs there are a few things to keep in mind: firstly, while this isn't a complicated dish to make, there are some crucial steps that can't be ignored. For instance, prepare the corn broth before scraping the polenta into individually prepared dishes. Also, you only need to place the dish in the oven for 10-15 minutes, or just about until the egg whites are firm. 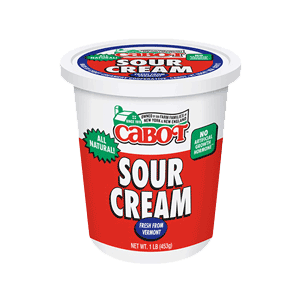 The ingredients are relatively simple, as well: you only need corn broth, polenta, Cabot Sharp Lite50 Cheddar, Regular Sour Cream, salt, white pepper, tomato sauce and Cabot Hand-rubbed Tuscan Cheddar. 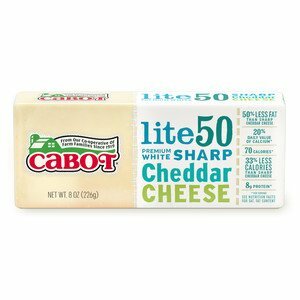 At Cabot, we take pride in only producing the best dairy products we can possibly make—that's why a majority of our products are award winning! 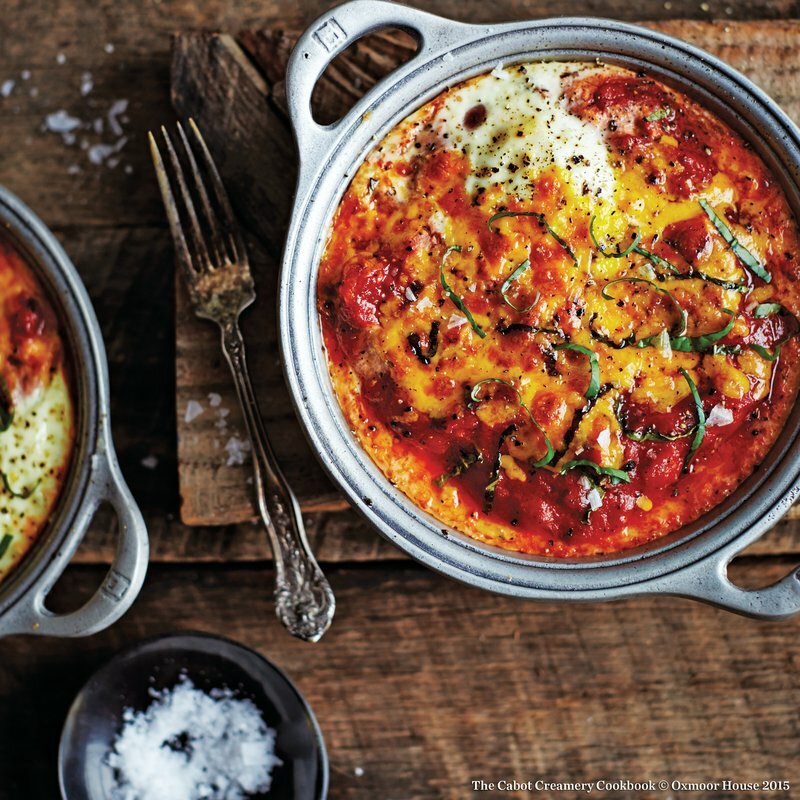 We're confident that you and your family will love this polenta and eggs recipe, but we also want to hear your feedback on ways that we might be able to improve it. Keeping that in mind, please make sure to rate and review this dish after you try it out. Also, if you'd like to get recipes like this delivered straight to your inbox, sign up for our newsletter! IF making corn broth, place about 6 corn cobs (kernels cut off) in pot and cover with cold water by about one inch; bring to simmer and cook for 45 minutes. Strain and reserve broth, discarding cobs. BRING 4 cups broth of choice or water to simmer in large saucepan; slowly whisk in cornmeal, making sure there are no lumps. Reduce heat to low and cook, stirring continually, for 15 minutes until mixture is a very thick, smooth mass. 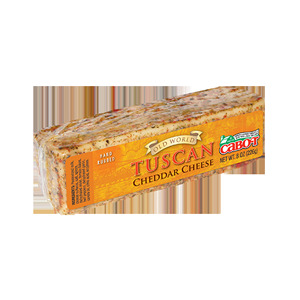 REMOVE from heat and add reduced fat cheddar, sour cream, 1 teaspoon salt and 1/2 teaspoon white pepper, stirring until cheese is melted. PREHEAT oven to 375°F. Scrape polenta into large or individual prepared dishes. Top with marinara sauce, spreading evenly. Carefully break eggs on top of sauce (2 per serving), being careful not to pierce yolks. Season with salt and pepper. Top each egg with slice of cheese. PLACE in oven for 10 to 15 minutes or just until egg whites are set and firm but yolks are still slightly runny (slightly longer if you prefer firm yolks). REMOVE from oven and let stand for 5 minutes to firm up slightly. Serve with additional warm marinara sauce if desired. Had a fresh batch of tomato sauce , so this recipe was great to use for a breakfast treat .